Paul and I got up bright and early yesterday to beat the nasty Atlanta traffic. 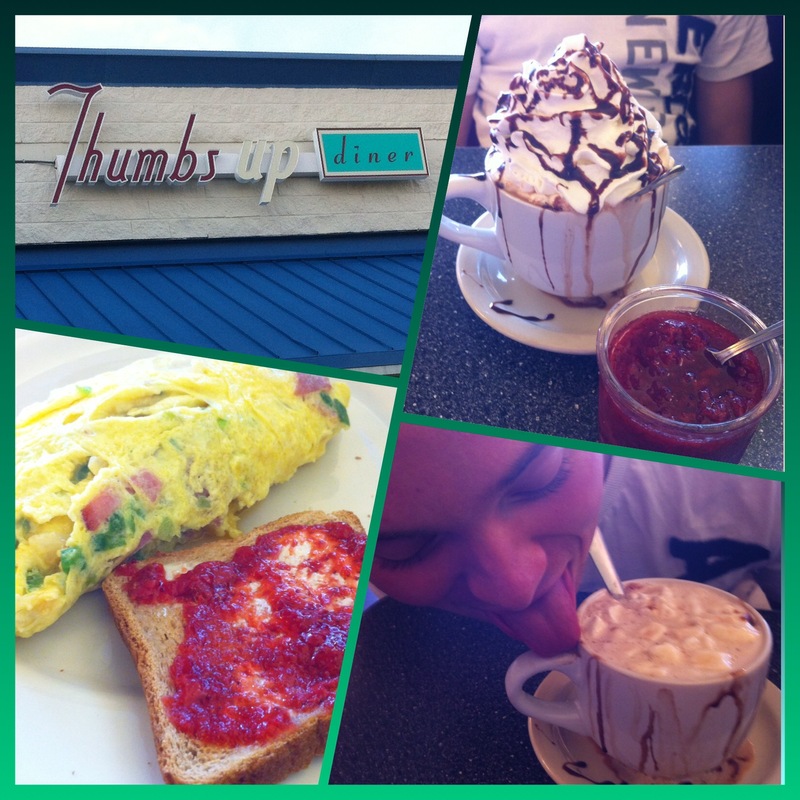 Picked a diner outside Atlanta for breakfast called Thumbs Up. Had a tasty little breakfast complete with omletes, fresh strawberry jam on toast, and coffee. Paul’s coffee was a hot chocolate coffee and was quite decedent. We travelled on up to Chattanooga stopping at the first rest area for a selfie with the state sign (roadtrip MUST). Then we hopped onto a train for a little entertainment. Paul loves trains, planes, and automobiles. 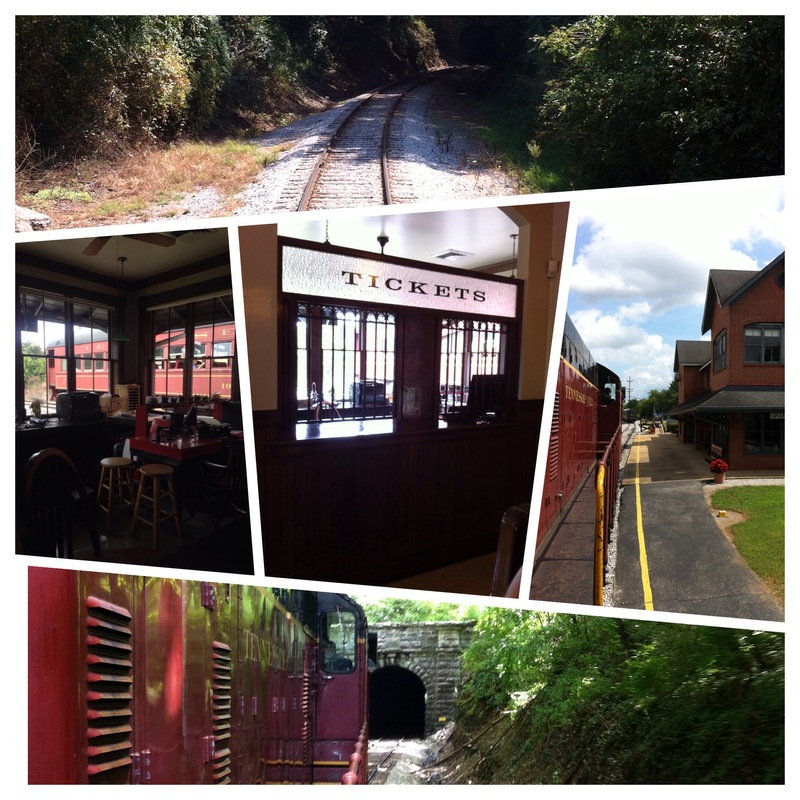 It was my first train ride so I had a field day. It was very short but we got to see how they used a turntable to turn the locomotive around (80 ton locomotive 120 ton turn table… Balanced so that 25HP powers the turn or in olden days, 4 men… Mind blown) and checked out a blacksmith shop (since old parts for trains are hard to come by). Moved onto more familiar territory near Knoxville, TN where my brother and his wife live. Went to dinner (after an hour nap) at Smoky Mountain Brewery with them and got a small beer sampler of brews with a calzone stuffed with spinach, fresh mozzarella, chicken, and garlic roasted tomatoes. We got rained out of the Tennessee Valley Fair so caught a movie “When the Game Stands Tall”. Excellent movie. Amazing what difference one man can make. Passion, faith, and hard work will get you far. I hadn’t even heard of it. I’m insanely glad my brother suggested it. After the movie we rushed to Orange Leaf to get some frozen yogurt before it closed. Paul and I shared a small bowl of Birthday Cake with peanut butter cups and mini chocolate chips. It was a simple, but rather magical day. We went to bed and slept like babies for 8 hours. If you are wondering, I could not find the kitty the blacksmiths are supposed to be sure to feed. 2 days until the 50k right now. Eeeek. Ever took a long road trip before? 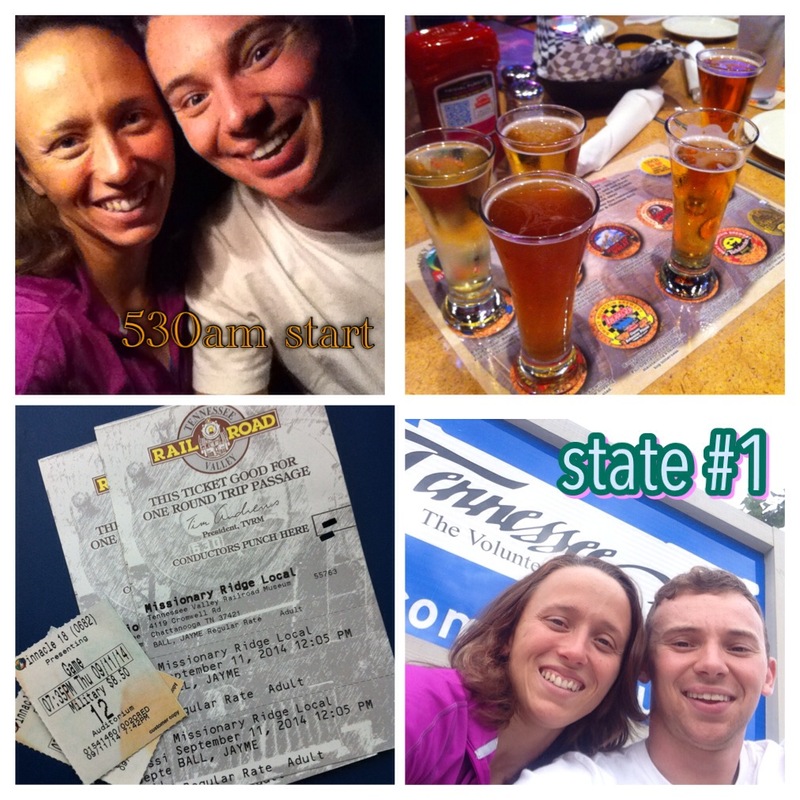 So exciting that you’ll be running 50K in a few days! That train ride looks neat. Excited isn’t the word I would use. Haha. It was pretty neat. Now I wonder what the other options they have are like. Road trips are wonderful. What do you consider long? Look forward to reading the 50K race report. Good luck at your race! I admit that a 2 week road trip would drive me bonkers, 2 is about all I can handle. Have fun! So far so good and we are 5 days in! We shall see how I feel in another 5, eh?